Are You Too Focused On Followers? When you go through courses on YouTube video marketing it does seem that there are lot of factors that go in to ranking a video. Often there doesn’t seem to be much on the video itself. There is a good reason for this. Google and YouTube don’t actually watch the videos but assess them due to their algorithm. Anyway, the quality or otherwise of the video is up to the person making the video – it’s not something that can be covered. What Factors Are Used For Ranking? As Google and YouTube can’t actually watch a video and determine what it is about they use other factors to determine how high it should rank. They obviously do go through the video as they can work out if you’ve violated a music copyright and produce a transcript if not well. In addition it will look at how long visitors view the video for, how many likes it has, social shares, embeds and back links. I know none of these actually really have much about the actual video. What they do, if natural do give an indication that the video is relevant and people actual like it or interested in the video. This is a signal that it is worth ranking. It is a reason for making videos that are good enough to achieve this – just as with any piece of content:- the video should be for the person viewing if you want to rsnk long term and convert them to click your link in the video or below it. How many of those you need to rank is not clear but you probably need to be slightly better than your competitors. Although I’ve never tested it myself to see if it matters it makes good practice to use the keyword in the video a few times where it makes sense just as you would any piece of content you are trying to rank for. But there are a number of other ranking factors that really don’t have anything to do with the video directly or indirectly. Once you’ve done the research on the keyword(s) you want to rank a video and created it, there are number of areas to look at to help with ranking – to give you the edge. Before uploading is using your keyword in the name of the file, it’s description and tags. Then once it is uploaded you have the title of the video, tags and writing the description – all containing the keyword and related. Again it should be for the user as well as for the search engines. There are then things like linking between videos and embedding it on your site if relevant. Often in situations where the competition hasn’t got many views and not well optimized that can be enough to rank in the number one position on YouTube and on the first page of Google (although that can depend but for most affiliate videos it seems to have a slot or two for videos). Just as some people do force backlinks to their content, you can also do this with videos, as well as getting fake views etc and it does seem that you can get away with more you do need to be careful. Google doesn’t want these practices to take place. So if it catches them out their video will be deleted and maybe your account closed too. It’s a risk which some are still prepared to take to get their video to the top for competitive and lucrative keywords. The video is important especially if you are interested in long term success and getting conversions from it, even if Google or YouTube can’t watch it. 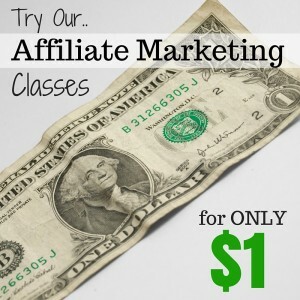 Affiliate marketing videos are unlikely to go viral and if they did you might be disappointed in the conversions anyway. P.S. If you want more information on how to rank YouTube videos then my top recommendation is IM Power Club – the sales page is a little disappointing but there is a lot of great information inside. My review is here. 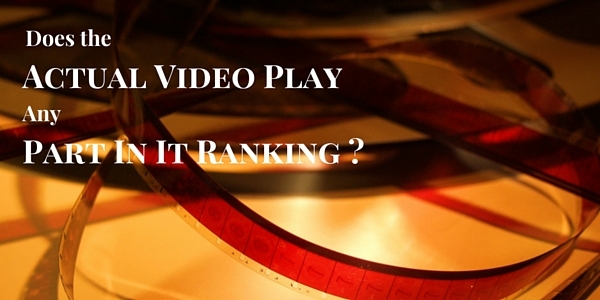 As well as ranking there are tips on how to create videos that convert.